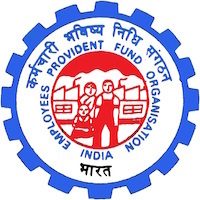 Online Application Details for Employees Provident Fund Organisation EPFO Recruitment of 50 Assistant Director and 18 Deputy Director is given below. Application form and duly attested documents are to be sent to Shri Sanjay Bisht, Regional Provident Fund Commissioner (HRM), Bhavishya Nidhi Bhawan, 14 Bhikaji Cama Place, New Delhi-110066. In envelope super scribed with 'Application for the Post of Post Name'.